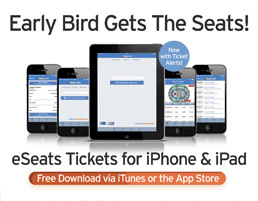 There are hundreds of websites that offer tickets for events worldwide. Many of these websites are nothing more than affiliate marketing sites or websites that are not regulated or sites which let anyone post their tickets for resale. When it’s time for you to make a decision about a ticket purchase, there are three ways to check to see if the ticket website or broker your considering buying tickets from is legitimate. 1. Check to see if the company you are buying your tickets from is a member of the NATB ( National Association of Ticket Brokers). The NATB was established about 20 years ago to safeguard consumers against bad ticket resellers. The NATB has a very strict ethical code to which it’s members must adhere and offers consumers a dispute resolution system that is very effective. eSeats.com is a proud member in good standing with the NATB. To learn more about the NATB and look up our current standing CLICK HERE. 2. Check to see if the company is a member with a good rating with the Better Business Bureau. The Better Business Bureau is renowned for its leadership in helping consumers determine marketplace trust. eSeats.com shares this commitment to providing consumers with a safe and secure shopping experience, eSeats.com is proud to be recognized by the BBB with an A+ Rating for our efforts to provide our customers with the best possible ticket buying experience. To check our current BBB Rating, CLICK HERE. 3. Check with past customers to see how their shopping experience was with the company. At eSeats.com we provide our customers with many channels to provide their feedback. One of the most effective ways is our Testimonials section. So to answer your question. 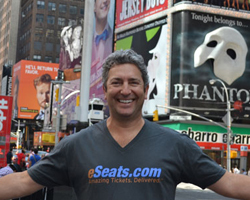 Is eSeats.com a legitimate ticket reseller? The answer is YES!